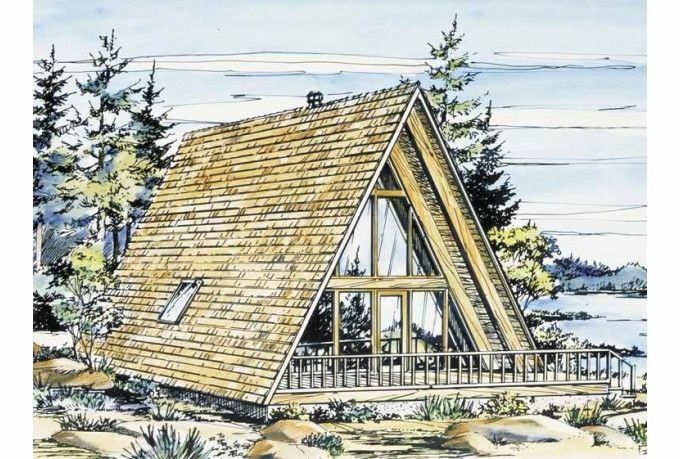 A-frames are the quintessential vacation home, but they're great for everyday living as well. Not only do they have plenty of curb appeal, but they typically have cozy interiors with wood burning stoves and sleeping lofts! 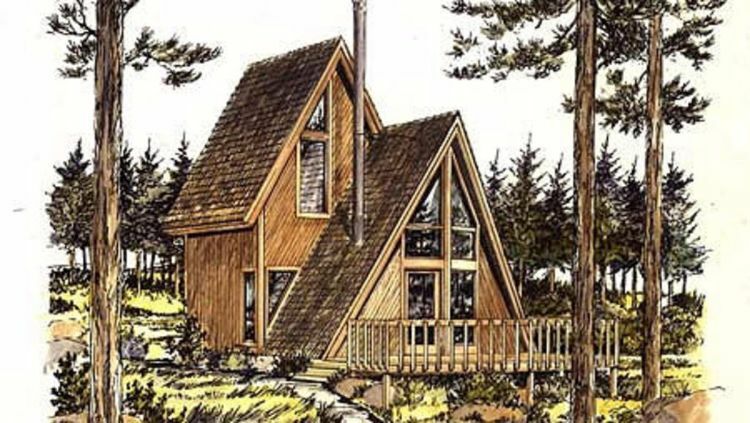 If you've been searching for an A-frame house plan that you love, look no further. Whether your family has one member or five, there's a home in this collection that would be just perfect for you! 1. Cozy design with plenty of storage from Houseplans. At 761 square feet (71 square meters), this design from Houseplans manages to squeeze in both a bedroom and a sleeping loft as well as plenty of storage space. An open concept great room and dining room are at the front of the home; this space features vaulted ceilings and a fireplace. 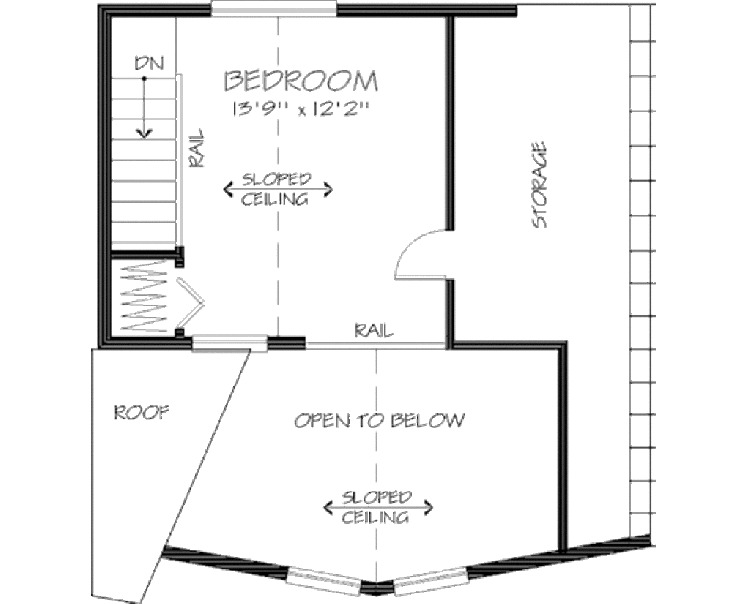 A U-shaped kitchen is right behind the dining area, and a laundry closet and a bathroom are found right behind it. 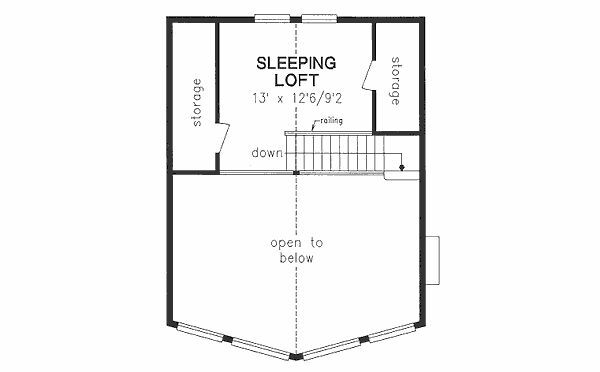 The bedroom is in the back right corner of the home, and a flight of stairs leads to the second-floor sleeping loft. 2. 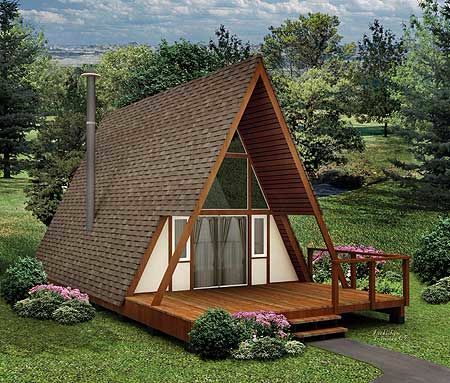 Contemporary design with woodstove from ePlans. 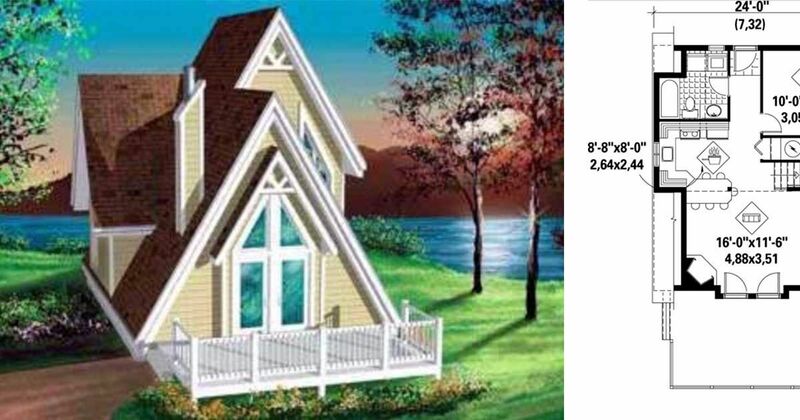 This lovely design from ePlans comes in at 908 square feet (84 square meters). A cozy living room with a woodstove is found in the front portion of the home; it features vaulted ceilings and huge floor-to-ceiling windows. 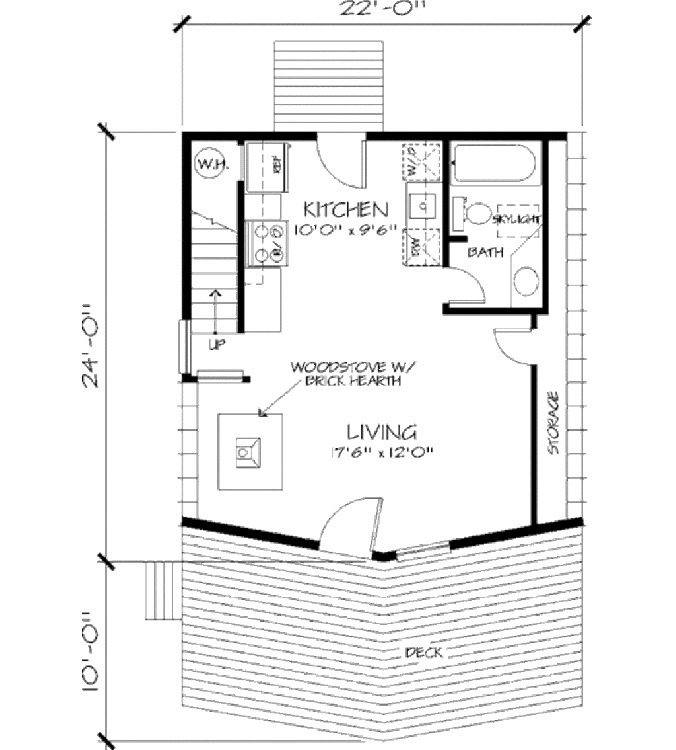 The kitchen and bathroom are located on the left-hand side of the home, while the bedroom is on the right. 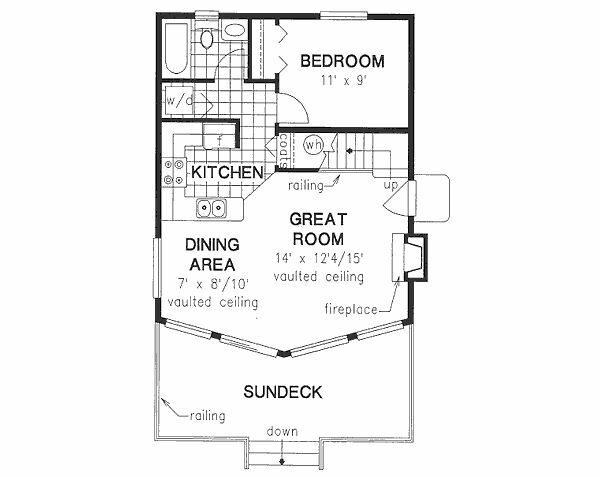 Upstairs, a large balcony with vaulted ceilings would make an excellent home office or second bedroom. 3. 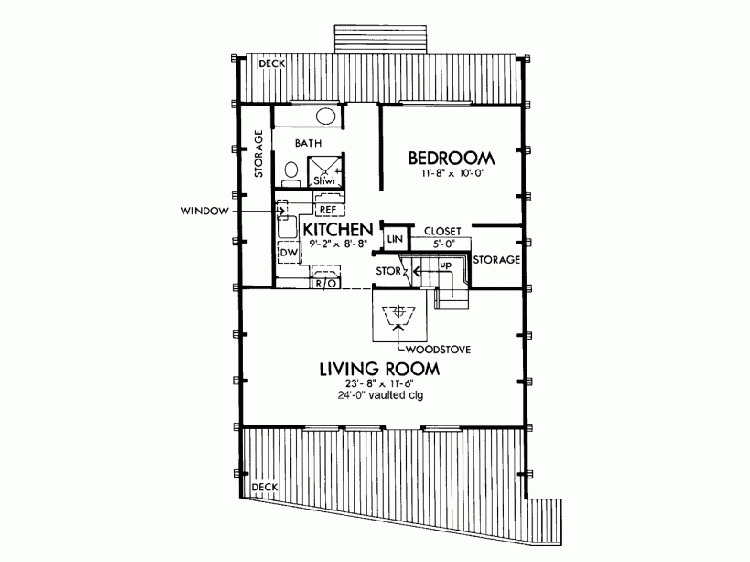 Three-bedroom charmer from Family Home Plans. 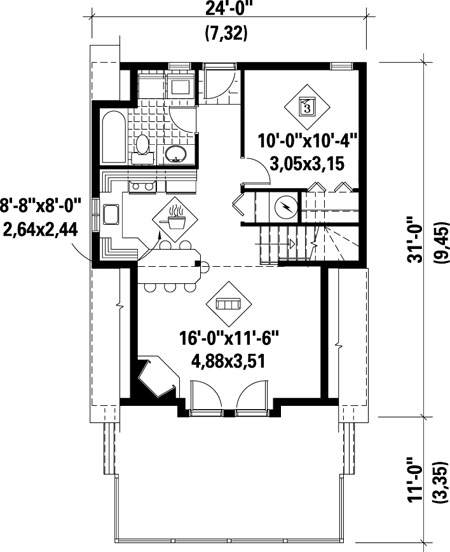 This home from Family Home Plans comes in at 994 square feet (92 square meters), and it has plenty of space for the whole family with its three bedrooms. Double doors at the front of the home open into the living room, which boasts a large fireplace in the corner. 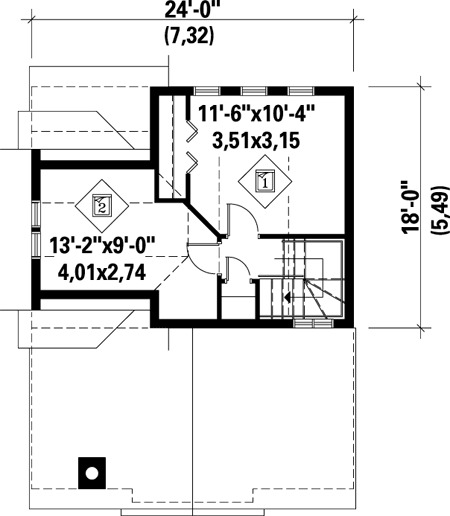 A U-shaped kitchen is right behind the living room, and the bathroom is right behind that. 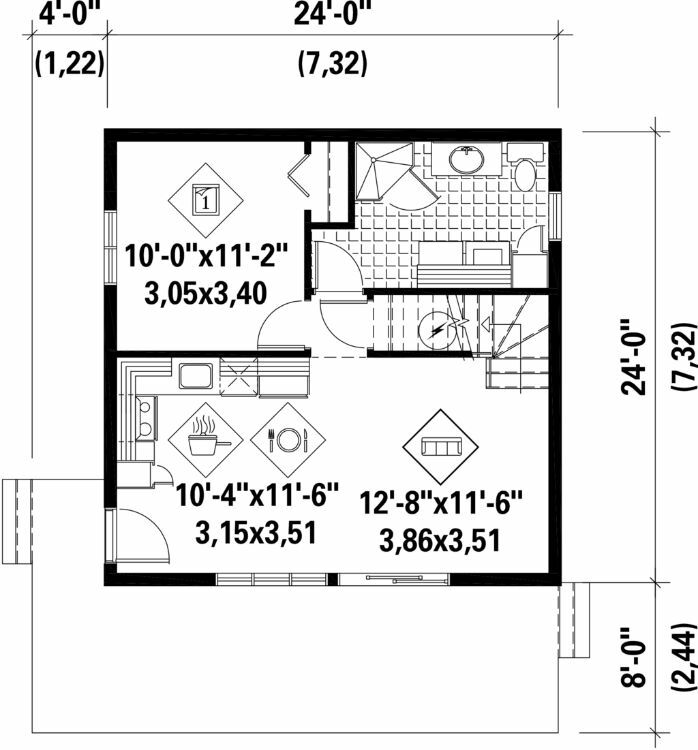 The first of three bedrooms is found in the back right corner of the first floor, and the other two bedrooms are located on the second floor. 4. 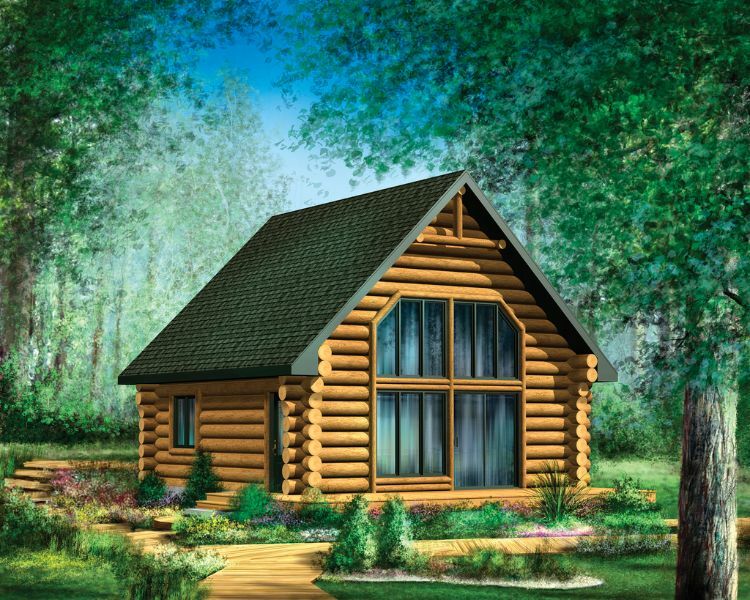 Open concept log home from Houseplans. Coming in at 743 square feet (69 square meters), this design from Houseplans features two bedrooms and a wraparound deck. A door on the side of the home opens into the L-shaped kitchen, which is right next to the living room on the right-hand side of the home. One of the bedrooms is in the back left corner on this floor, and the large bathroom is right beside it on the right. The second bedroom is found upstairs. 5. 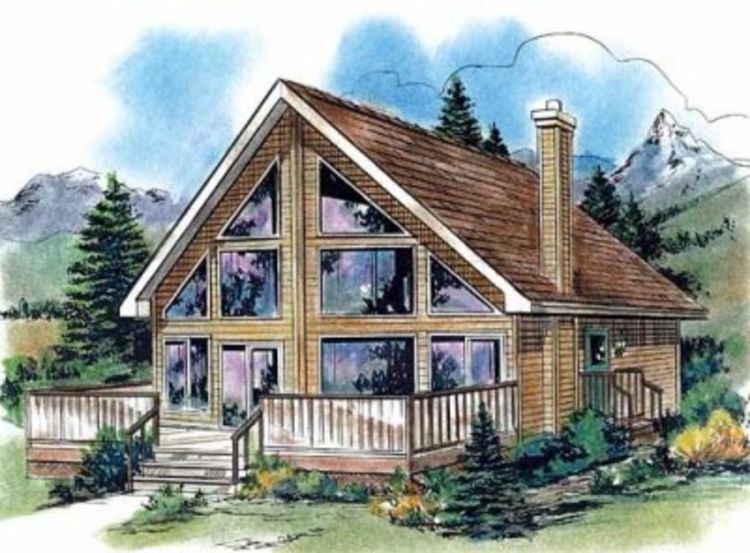 Classic vacation-style home from Architectural Designs. This cozy home from Architectural Designs comes in at 618 square feet (57 square meters). A large covered deck is at the front of the home, and from here a set of sliding glass doors lead into the living room. 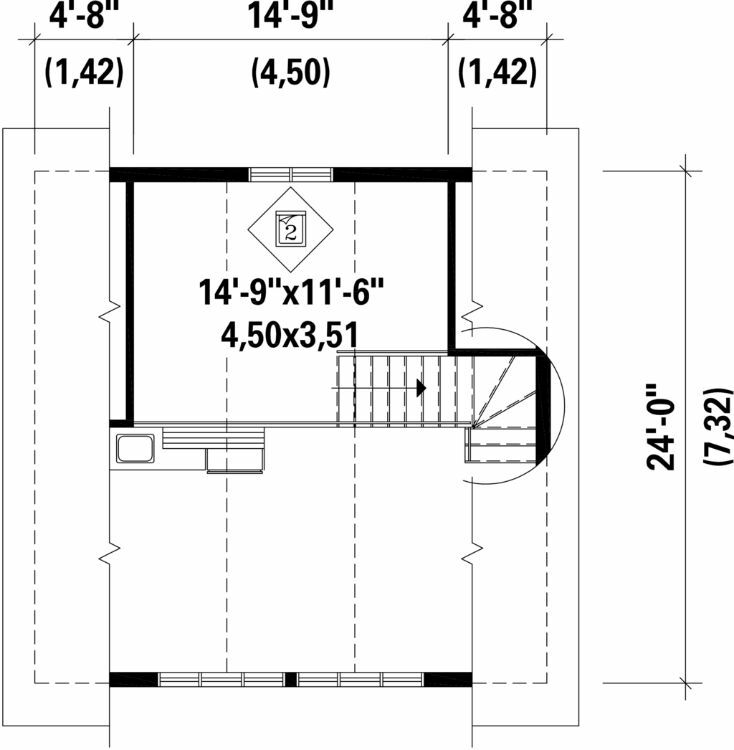 The small kitchen is behind the living room on the right, and the bedroom is in the back left corner. 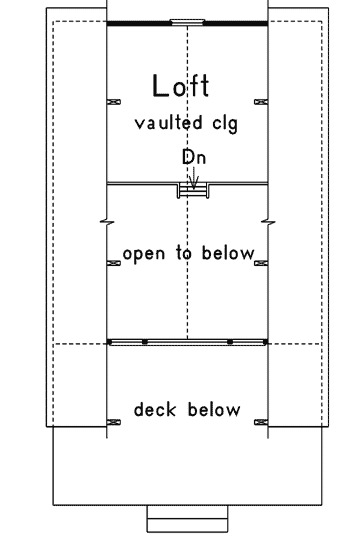 A ship's ladder leads to the loft upstairs, which is open to the main living space below. 6. 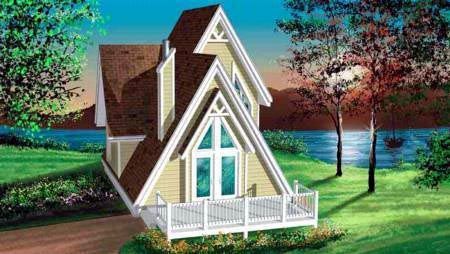 Tiny cottage with second-floor bedroom from Houseplans. Measuring just 535 square feet (50 square meters), this design from Houseplans has the main living space downstairs and the bedroom upstairs. 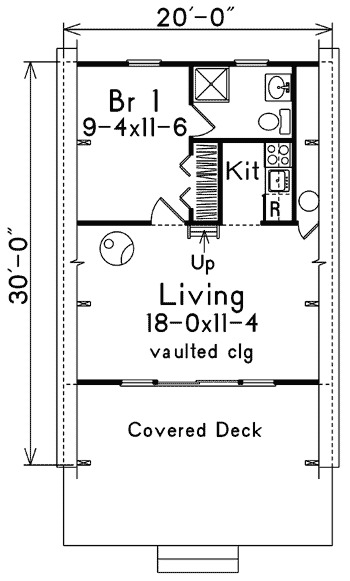 The living room takes up the front portion of the main floor, and it includes a wood stove and a large storage space. The kitchen is at the back of the home, and the bathroom is next to it on the right. 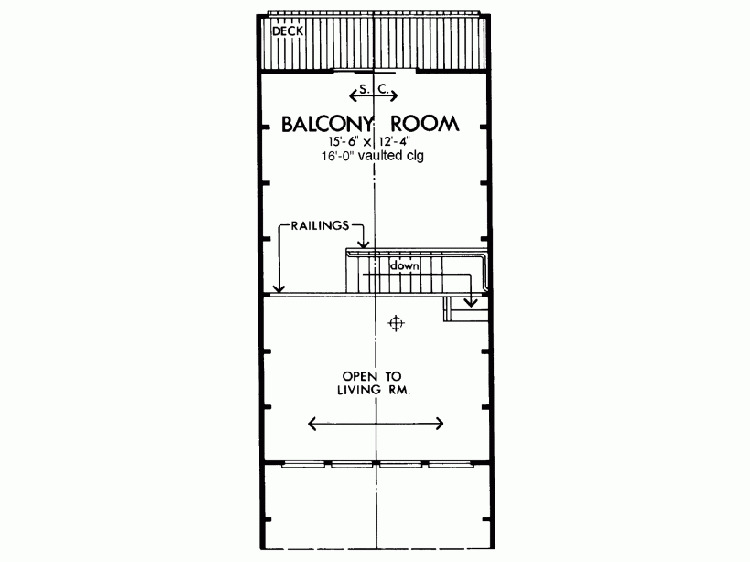 Upstairs, the bedroom has another large storage space and is open to the living room below.